The National Workers Union (NWU) has called on Labour Minister, Stephenson King, to intervene in three industrial disputes. NWU President General, Tyrone Maynard, made the disclosure inn a statement Thursday. 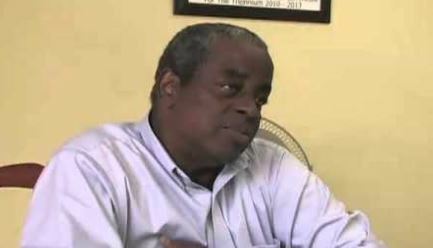 He said the disputes relate to what was described as “the unfair and wrongful dismissal of five workers employed with Blue Waters Ltd”; a decision by the Saint Lucia National Housing Corporation (NHC) to make two workers redundant “in contravention of the Labour Act of 2006”; and the failure of Anse Chastanet Hotel to commence negotiations with the union. Maynard said the NWU is the bargaining agent for workers at all three institutions. “In all cases the National Workers Union has expressed a deep concern with the reluctance of the said companies to engage the Union,” the President General of the trade union disclosed. Maynard said the NWU will be holding meetings with the employees to update them on the matters. You all need to intervain in St.Jude hospital board and mangement bulliying and lack of respect and silent victimisation of staff. Employing of party Hachs by the board. Who is taking on SANDAL HOTEL ? The country takes on the tone of the political party in power. The Chastanet-led administration has no respect for workers nor their unions. Therefore, public and private establishments follow the lead and direction of the government. All workers and unions should come together in one massive demonstration and close down the country. This country is heading down a road of eternal darkness. Why is it like pulling teeth for ordinary workers to be fairly compensated? Why must the poor working class of people endure systemic poverty from one generation to another? Why can’t they get a fair day’s pay for a fir day’s work? Why after working so hard for a week or a month, they have trouble paying their bills or enjoying a toothsome dinner of their choice at a fine eatery. Why?